Churma na ladwa, Gujarati daal, Bateta nu khatu mithu shaak ( sweet and sour potato curry ) and Fulwadi, ( spicy fried noodles ) a perfect combination of Gujarati delicacies in a thali ( plate ). Have any of you ever had a taste? It's a traditional way to serve food and is extremely popular in any Gujju household. Churma Ladwa make me nostalgic, taking me straight back to my childhood days. It's an indescribable feelings right now, how our house or neighbourhood would smell whenever my mum or someone used to make Churma Ladoo. If there is any Gujarati Mithai (sweets) which I choose over any other Indian Mithai it has to be this/ And yes, I just said that. Around few decades ago, if there is any celebrations that would have happened in any Gujju family, Churma ladwa would be on their menu, if I am invited to that function there was no bound of joy and happiness for me. In those days, most of the functions and celebrations were used to be held in your homes, and almost whole neighbourhood is invited. Obviously, food is prepared by the ladies of the family and if there are many people invited then caterers would come to your home and cook everything from the scratch in your back garden. I've tried not to miss those opportunities to peep while they making those delicious delicacies, the whole process of making churma ladwa by those people, you just want to sit there and keep taking extra sniff to take it all in, embracing it all in your senses. Everything was so sweet and mesmerising, especially for me ! Mum used to prepare them twice a year, on Ganesh Chaturthi and Vasant Panchmi. 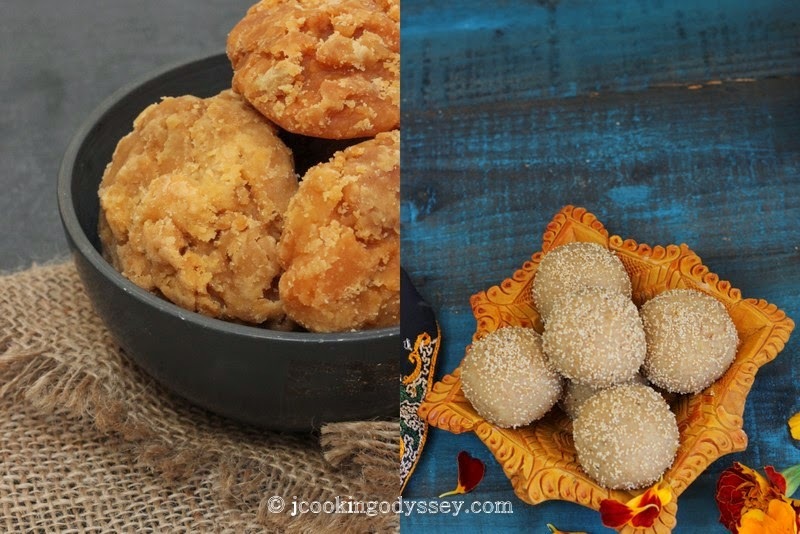 She would prepare Rajasthani style Churma Ladoo Ganesh Chaturthi and Gujarati Churma Ladoo on Vasnat panchmi. We siblings were always more than happy to helping her in making them, I was so delighted when Mum gave me responsibility to prepare Churma Ladoo from scratch, only when I was just 17. 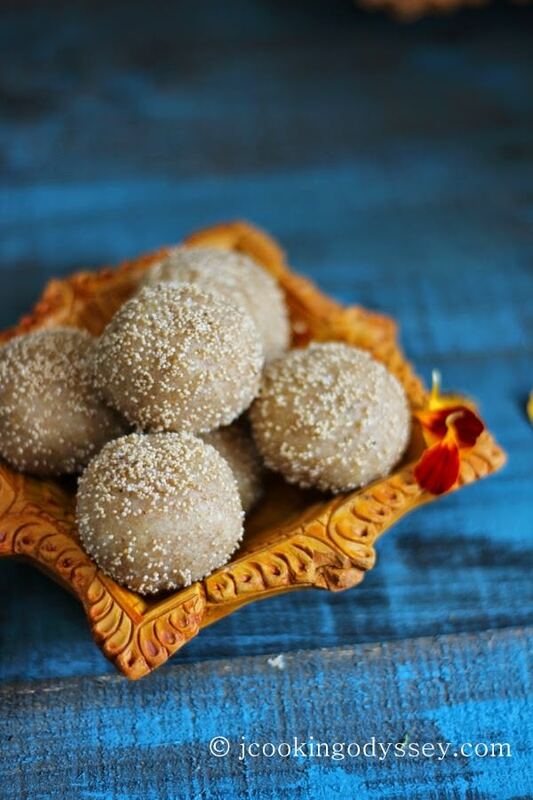 As much as I love to relish Churma Ladwa, I try not to prepare them frequently myself as adulthood does not allow me, but if I seriously get cravings for them I make M/W method Churma Ladwa. which contains very less ghee and process is short. 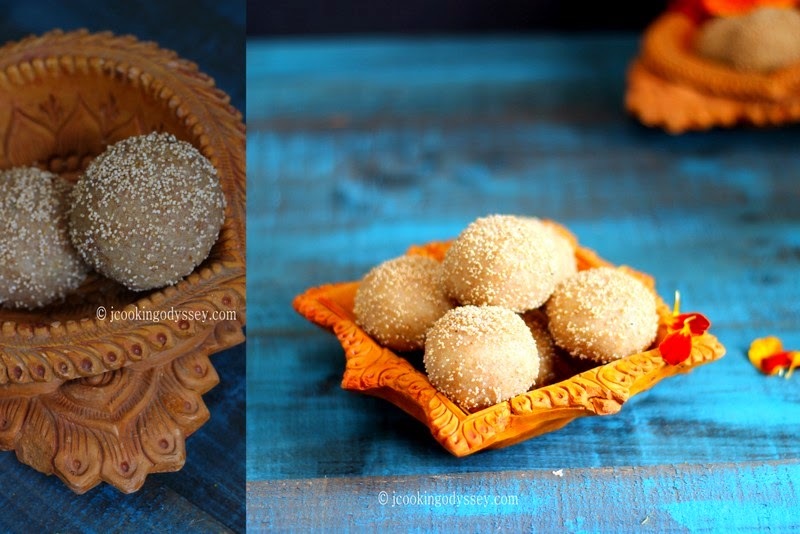 Churma Ladwa are loaded with Ghee and Jaggery, however in compare to cakes and coffee they are nutritious as Churma Ladwa are made with Whole Wheat flour which contains fiber and Jaggery provides countless benefits. So every 2-3years, I do prepare traditional ladwa, just to go back in my time to engage in those memories of my childhood and obviously keep traditional and authentic flavours in this modern era. 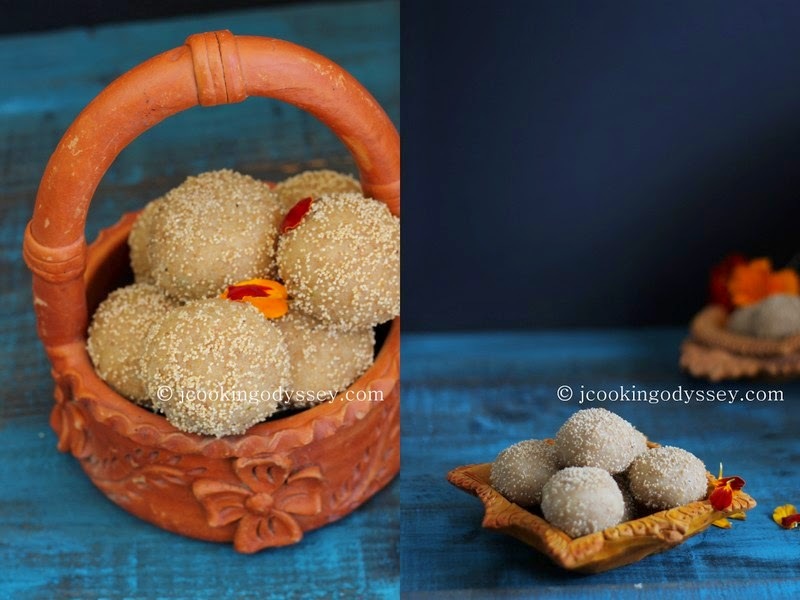 Churma ladoo, is prepared in India by every community by using similar ingredients and methods. However in Gujarati recipe, Khoya or mawa is not used, instead melted ghee and few mishri ( khadi sakar - small sugar candy ) being added. Churma Ladwa requires few ingredients, whole wheat flour dumplings fried till golden brown and starts emanating it's sweet aroma. Fried dumplings turn into coarse flour Jaggery, nuts, melted ghee and aromatic spices are added and mixture rolled into moreish ladwa. It's always a sheer pleasure for me to devour these scrumptious ladwa ! Save and Share this recipe Just a click away ! If you can not find coarse whole wheat flour, take 400 g regular chappati flour and 100 g semolina. If you want to use sugar, use caster sugar instead of Jaggery. Place both flour in a big bowl or plate and add about 50-60 g ghee. Combine everything, and knead a stiff dough using lukewarm water. Heat 200 g ghee and fry muthiya on a very low heat till light golden brown. Remove and let it cool, transfer them in a food processor and grind till you get coarse powder. Add grated jaggery, cardamom and nutmeg powder and remained ghee. Mix and rub the mixture properly with your hands, now add mishri or sakar. Take small amount of cooked ladwa mixture and make a ball. Roll ladwa in khus khus and drop that ladwa in a plate, so base of that ladoo becomes flat but upper part still stays round. 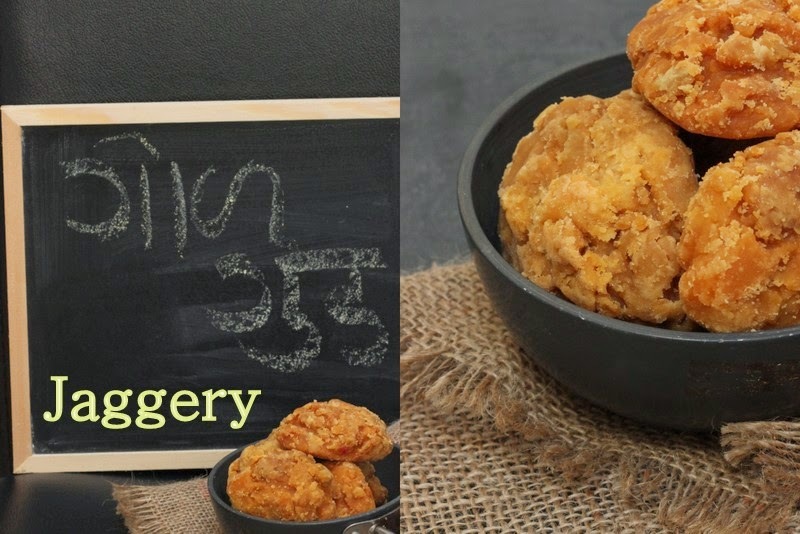 Gor Churma Ladoo is a traditional Gujarati sweet made with basic ingredients such as wheat flour, ghee and jaggery. Place both flours in a big bowl or plate and add about 50-60 g ghee. Remove and let it cool, transfer them in a food processor and grind till you get the coarse powder. Roll ladwa in khus khus and drop that ladwa in a plate, so the base of that ladoo becomes flat but the upper part still stays round. Hi, coarse wheat flour is called 'Bhakhri no lot' slightly coarse than normal wheat chapatti flour. If you can't get it I have given other option, please read the post. Thank you ! I love the story behind it! There is nothing like food that takes you back to the best memories! I never heard of white poppy seeds, so glad to learn something new! I'm trying to decide if I would like those or not. It seems they would be rather dense and heavy. Willing to try anything once though:-) I love the orange dishes! Homemade Almond, Cashew and Hazelnut Butter ! Vegan Sweet Potato and Tofu Kofta Curry !